Like adoption with all CRM systems, getting your team to fully adopt Salesforce can be challenging. For some companies, reps are logging data, but not daily activities; for others, the data that’s being entered into the system is a mess; and some sales leaders struggle with reps not even logging into Salesforce at all. There are a lot of ways companies can struggle with Salesforce adoption, and each of them can require different steps, but here are three questions to tackle one common problem that we see sales leaders struggle with every day. First: What do you expect out of Salesforce? The best place to start is to determine what it is you want to get out of a CRM system. How do you expect your salespeople to use it on a day-to-day basis? 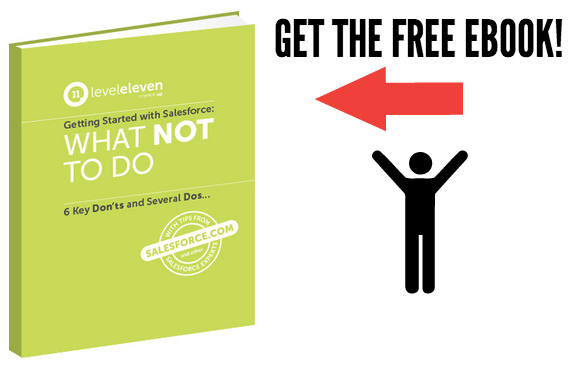 Salesforce is packed with so many capabilities that trying to get the most out of it from the get-go can overcomplicate the process. For most sales leaders, the purpose of buying a CRM system is to measure what’s going on in your sales process, and then motivate the right selling activities to increase revenue. That’s a very reasonable goal, but to get there you need to have the right data and plumbing in place. Second: What are your operating metrics? If you want to build a consistent way to scale your organization, you need to start with a common set of operating metrics. Look at the structure of your sales team: Do you have sales development reps? Account executives? SMB, mid-market and/or enterprise sales reps? Then, come up with a list of the key selling activities you want each of these sales roles to focus on. For sales development, the activities might be calls, emails sent or opportunities created. Account executives, on the other hand, could be better focused on meetings, proposals sent or discovery calls. Use the Activity Based Selling methodology to define those key activities as operating metrics, align your organization around them, monitor and course-correct when necessary, and then finally broadcast the metrics to create company-wide transparency. All of this helps to create a culture of performance – where sales reps and sales leaders are invigorated by hitting your goals. Third: How are those operating metrics tracked in Salesforce? Finally, if you want to motivate those metrics, you need to make sure you’re able to measure them in your CRM. Understand where your reps spend most of their time, and then create radically simple workflows for them to log their activities in Salesforce. If reps spend a lot of time on email, consider using something like Cirrus Insight or ToutApp to make the link between the work they’re doing and Salesforce almost seamless. For teams that spend a lot of time on the phone, consider dialer tools like InsideSales.com or Intelliverse. Make the process of logging activities that help reps reach their goals radically simple. The combination of knowing you have to log activities to hit your goals and having an incredibly simple process to do that makes using the CRM just seem logical and will encourage reps to get much more engaged with the technology. Like adoption with all CRM systems, getting full Salesforce adoption can be challenging. Here are 3 questions to help you tackle this problem.